ISIS Claims 6 Egyptian Troops Killed, 2 Vehicles Destroyed In North Sinai Attacks (Map Update) 2.3333333333333 out of 5 based on 3 ratings. 3 user reviews. 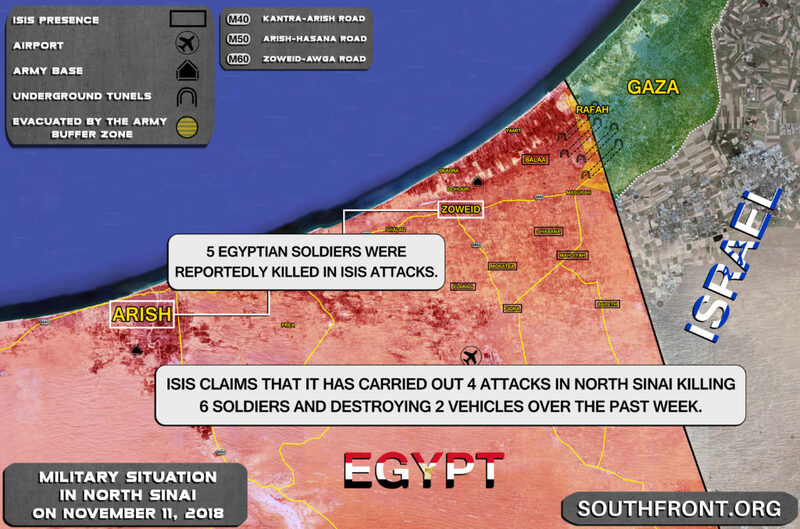 Despite efforts of the Egyptian Army and security forces, the ISIS terrorist group is still calable of carrying out terrorist attacks in North Sinai. 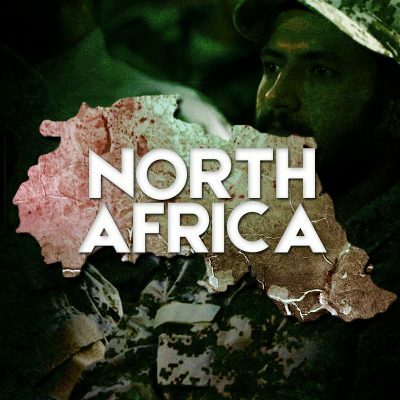 According to ISIS-linked media, over the past week, the terrorist gorup has carried out 4 attacks in the region killing 6 soldiers and destroying 2 vehicles. 2 of the attacks reportedly took place in the city of Arish and in the village of Zoweid. 5 Egyptian soldiers were reportedly killed in these attacks. In October, the Egyptian military announced that since the start of its operation against ISIS in North Sinai, the army and security forces had eliminated over 450 terrorists, including ISIS members. However, it seems that this was not enough to stabilize the situation in the province. ISIS still keeps a large presence there. One of the most problematic points is the border area between Gaza and Egypt. But they never, never, never, attack ISIS-rael. You beat me to it. Look, there it is right next door, the same as Syria and never do we see mas casualties inside Israel.